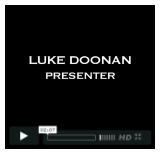 Luke Doonan is a renowned interior designer and property developer throughout the UK and Europe. Born in London in 1971, Luke left home at the age of 16 and has worked passionately ever since. He bought his first property at the age of 18 and has always loved working around all aspects of interior design and property development. 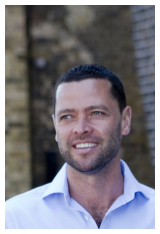 Luke worked for the property company Savills where for a decade; he was in charge of running and selling the majority of the new developments in and around Canary Wharf. Predicting the growth of the east end of London, he started to buy properties in neighbouring Bow and Stratford where the prices were much cheaper than Docklands. He soon built up a healthy property portfolio and for the last 20 years has been running his property development company, which now extends to many areas throughout London. Luke has always been absolutely committed to supplying high quality rental properties at fair and reasonable rents to all his tenants. He believes that building trust between landlords and tenants is the only way to create a truly successful property business. Luke’s passion for buildings and interiors led him to start Conscious Image Interiors in 1995, a highly individual design company which offers a bespoke private client service. Conscious Image has grown solely on reputation and works with some of the world's most renowned property developers. 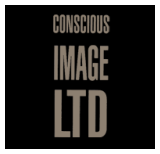 Conscious Image has won various awards over the last 20 years and continues to be one of London's most dynamic interior design companies. 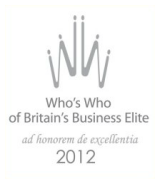 The company works with and donates regularly to various charities and homeless organisations. His career and passion for all things property has led him to become Channel Fives Wright Stuff Property Expert and is a regular guest expert on BBC London news, BBC London Radio, Talk Radio and LBC radio. Luke recently presented two series of the awarding winning and ever popular property show, A Place in the Sun. 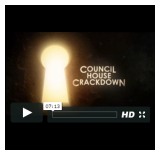 In 2015, He created and presented Council House Crackdown, a five part documentary show that investigates the abuse of social housing, illegal subletting and all aspects of tenancy fraud in the UK. The show was commissioned by the BBC and was a great success. It was commissioned for a second series immediately and aired during spring 2016 (10 shows in the series). In 2016 he started his own production company, 215 Productions. 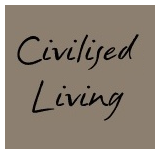 A company that creates socially driven TV programmes and documentary films. His latest venture (a joint production with Velvet Joy Productions) Dispossession – The Great Social Housing Swindle – A film that looks at the catastrophic failures that have led to a chronic shortage of social housing in the UK. The film will be shown in over 60 cinemas across the UK. www.dispossessionfilm.com Luke is currently researching and working on his next documentary film. Luke Doonan is ready, willing and able. Most of all, he is excited to be one of the country's go-to men for all aspects related to the property market and the social housing sector in the UK.